Neural networks have been used for many applications throughout the deep learning revolution. 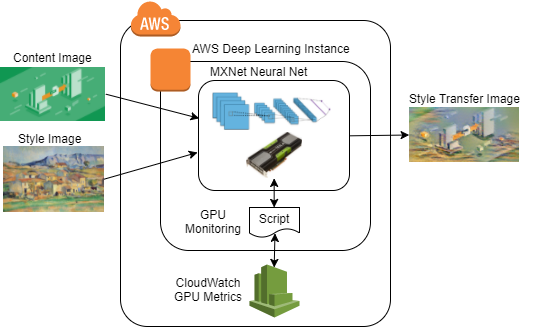 In this Lab, you will use the AWS Deep Learning AMI using a GPU instance (p2.xlarge). You will perform neural style transfers - an algorithm for combining the content of one image with the style of another image. This process involves using convolutional neural networks (CNN). 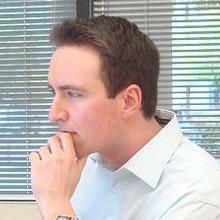 The code you will run is implemented in Python using the MXNet deep learning framework. Additionally, you will setup a custom Python script to aggregate GPU performance data and publish it into Amazon CloudWatch. You will then be able to examine the performance and cost associated with the CNN as it runs.